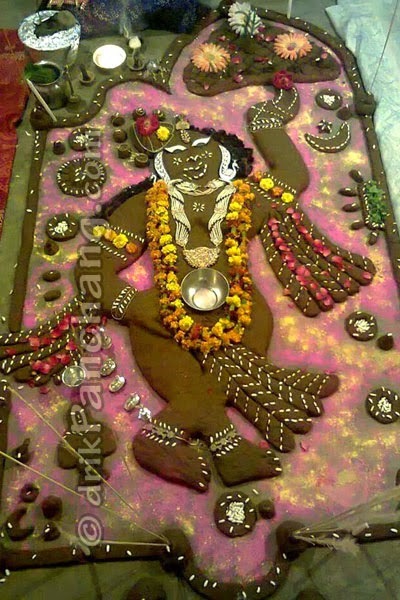 Govardhan Puja celebrations are none other than those at Govardhan town in Mathura. Govardhan Puja is celebrated on the next day of Diwali on Kartik Pratipada. Devotees throng to Govardhan hills from far flung places on the auspicious day of Govardhan Puja. In 2013, Govardhan Puja was celebrated on November 4, Monday. The Puja began around 4 a.m. during Arunodaya time. Devotees took holy dip at the bank of Manasi Ganga and lit lamps to pay their respects to the holy lake. It is believed that Manasi Ganga was created by Lord Krishna itself. After holy dip at Manasi Ganga people worshipped Lord Giriraj Maharaj and performed Sapta-Kosi Parikrama of Govardhan Hills. Giriraj Maharaj is one of the several names of Lord Krishna. Traditionally, devotees who are not able to visit Govardhan hills make Giriraj Maharaj with cow-dung at home and worship it in the evening. 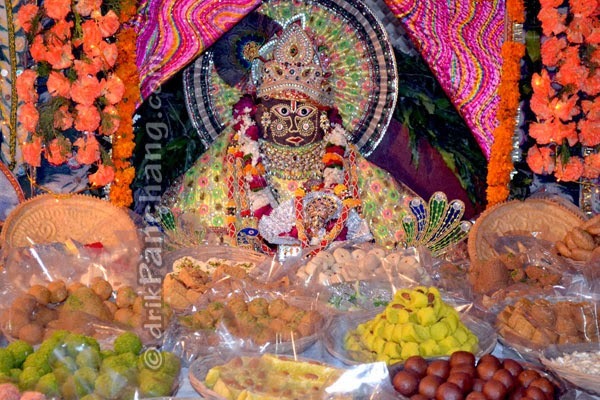 People offer various types of food to Lord Giriraj and this ritual of offering different type of food items to Lord Krishna is known as Chhappan Bhog.